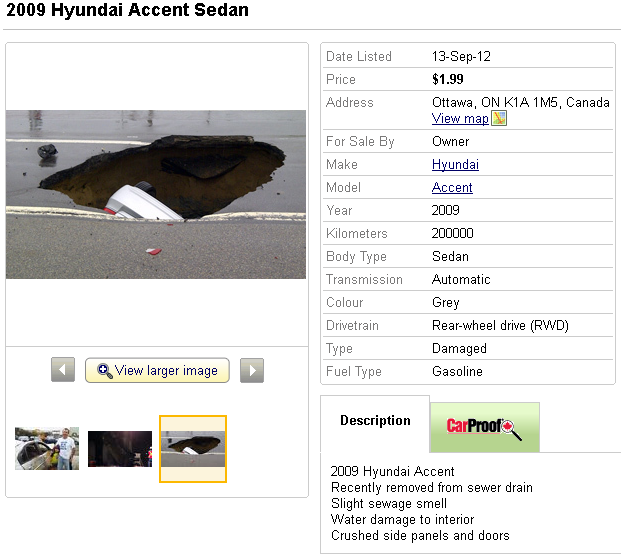 Did you hear about the big sinkhole in Ottawa that swallowed a car? Yeah, the sewer pipe burst and created a giant hole in an important road, and it ate the car and wrecked the car and now the car is supposedly for sale on Kijiji and you can buy the car and drive the car except the car is STINKY. True story.